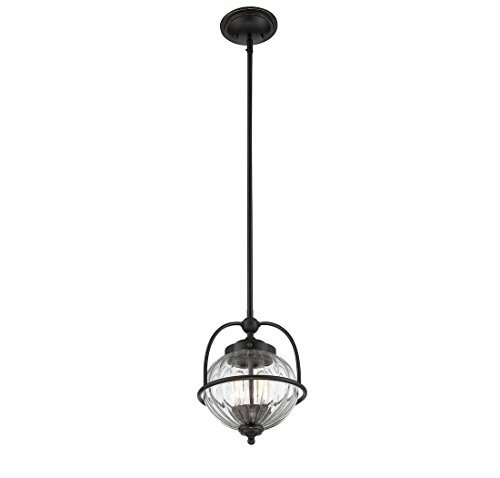 Nautical-inspired lantern style looks super stylish with the Savoy House banbury 2-light pendant. 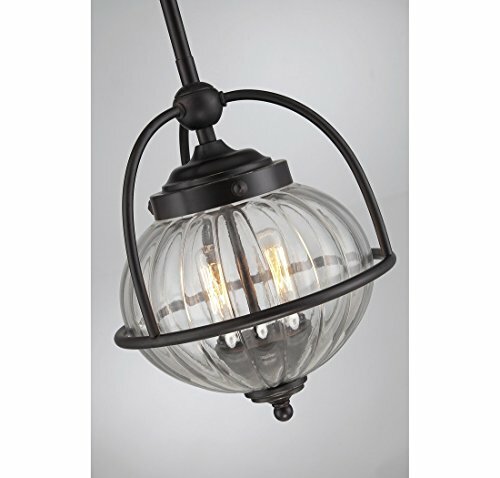 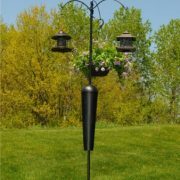 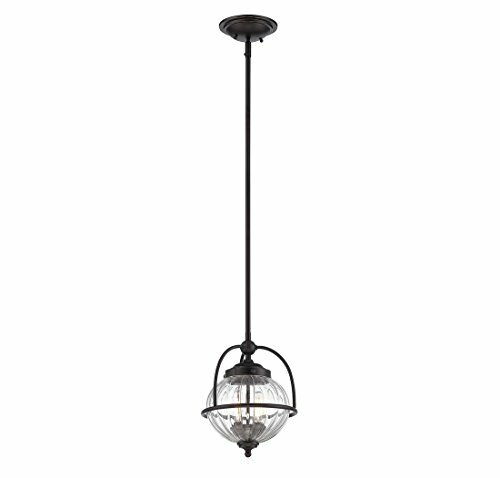 The clear ribbed glass orb is supported by arms that add hints of industrial appeal. Finished in English bronze with gold.